Country Perfection! 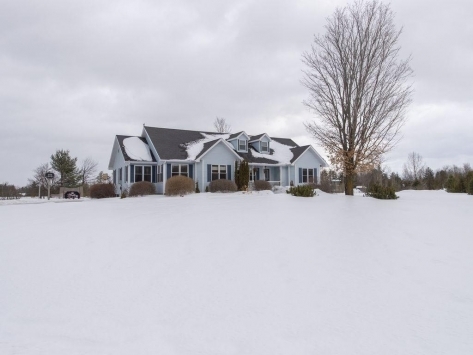 Over 2 acres to play with, beautifully landscaped with perennial gardens, welcoming verandah, interlock front & flagstone rear walkways, over-sized custom deck with crafted pergola & an above-ground pool...all this a few minutes drive to Kanata! Hockey fans will love the paved driveway, and plenty of storage in the over-sized garage. Amazing layout for this modern bungalow, with cathedral-ceiling great room featuring a gas fireplace, eat-in kitchen with newly refinished pine flooring, main-floor den, master suite with full ensuite, soaker tub & walk-in closet at one end of the home, guest/kids bedrooms at the other. Peace & privacy! Fully finished basement with home-theatre room, lots of storage & space to play! Economical nat-gas heat, hwt, fireplace & BBQ. Come quick!